Got a chunk shipped. The remaining will be shipped in the next few days. Updated the first post with the shipping info. Thanks cougar20th! I love this little curvy single-trigger! All remaining frames are boxed and ready to go out on Monday. Mine showed up today as well, pumped to start a new build. Awesome you don't know how glad I am that these are getting out to you guys. I'm sad I missed this, I hope there will be a run #4! I will have 6 M86v2's for sale coming up. They will not be sold before I make the sale post. They will be first come first served. They will not be posted before the beginning of July. I am just to busy. quick question for anyone that might know. 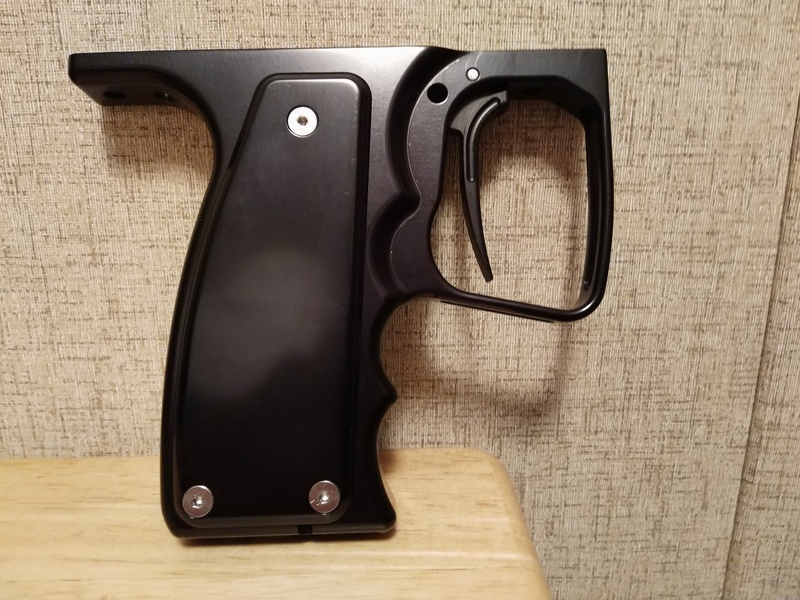 what's the thread and recommended length for the single m86 trigger stop? thx. I have 1/8", 3/16", .25" nylon tip set screws. I have a .25" one in mine. if you haven't sent the trigger rods yet, could I get a couple in each size? Everything has shipped. I will update the first post tomorrow with tracking. Updated post #1 with the tracking numbers..
Korso: Yours will go out tomorrow due to the customs forms. I had ran out and didnt have the time to fill it out while I was at the post office. Sorry for this delay. All frames got a bag with trigger stop screws put inside the grip. If I missed your frame (I missed a couple) and you want the screws contact me. Trigger stop screws where upsized on this batch of frames from 4-40 thread to 6-32 thread. I will get a new frame diagram made soon. I got mine aswell. Thank you sir. Finally had a chance to see mine. Frames look great! Cougar20th with the primo product! What's the story with this? Were these sold at one point or are they in the works? I had some made along with the run of single trigger frames. Ive got 6 left to sell. Post 161 has a little more info about how I will do that. Gotcha. I read that post but didn’t put 2 and 2 together. Same price and are they all same type of finish? The price will be different. There will be 4 gloss and 2 dust available. Got mine a few weeks ago. Everything looks great!! I'm going to hold onto this for my new build. Thanks for getting this batch going! Additional thanks to knownothingmags for the installation of the CP ASA and pneumatics!